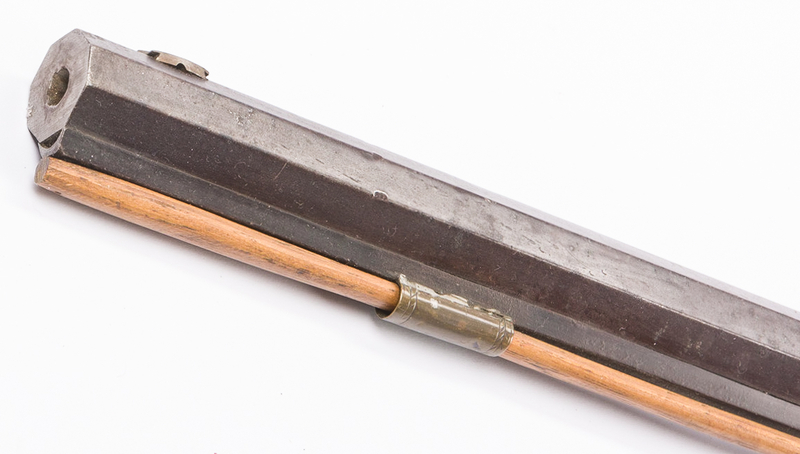 Percussion half stock rifle, .30 caliber, possibly Southern. Illegibly marked. 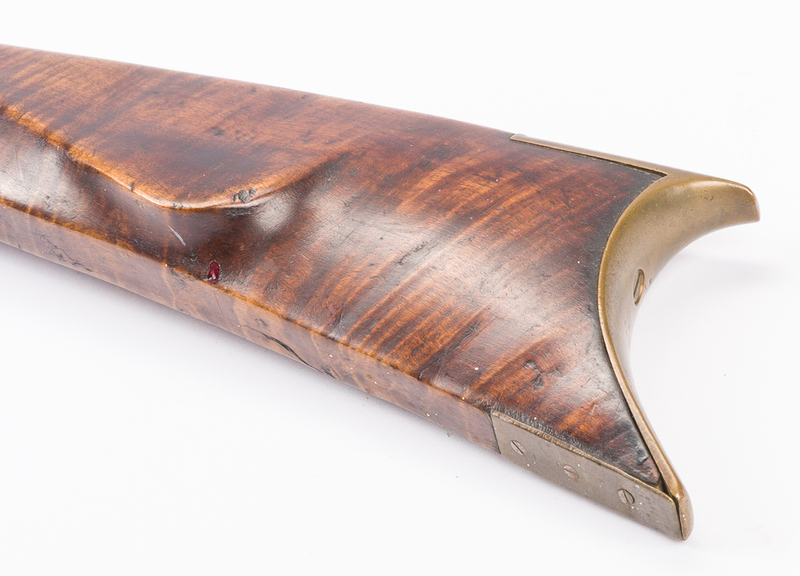 Tiger maple stocks, heavy octagonal barrel (1" across muzzle), metal frame, back action lock, brass mountings, front and rear sights, ramrod included. 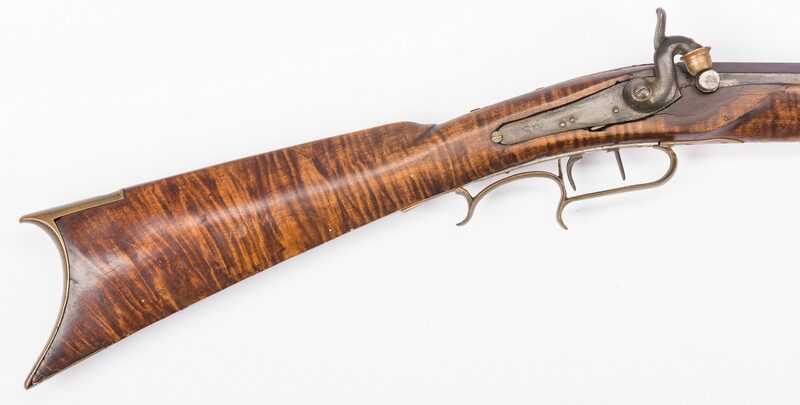 Barrel length – 31 3/4". Overall length – 47". Private Middle Tennessee collection. CONDITION: Rifle has drum type conversion to percussion. Barrel has been cut down. Stock heavily repaired beneath lock plate, filled in around back action lock. Front and rear sights replaced. Front thimble moved. Brass escutcheon missing, left side of forestock.